Call me a nerd, but statistics are fascinating and useful. I'd had quite a bit of course-work years ago in school, and was looking forward to "Essential Statistics for Data Analysis using Excel" as a refresher course. Unfortunately, the experience of this edX course might be tag-lined "Sadistics." Completing this was a painful experience. 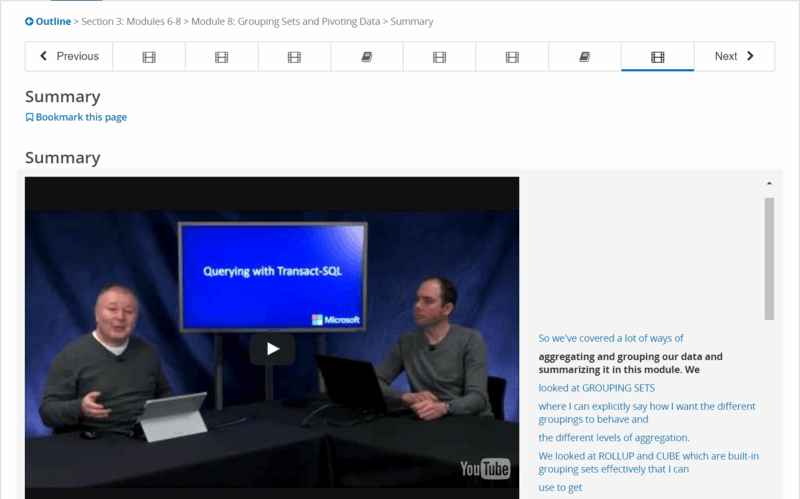 A database analyst's experience taking the "Querying with Transact-SQL" online class that is part of the Microsoft Professional Program in Data Science. This is the 2nd class in the series and participants should consider auditing it initially unless they've used T-SQL in the past. This is an altogether excellent course.